The Sisters of St Andrew - Opportunities to pray. Saturday 1st December. A Quiet Pause in Advent. ‘... and the desire of all nations will come’. 10am for a 10.30am start to 4pm, led by Sr Regula. Please book. 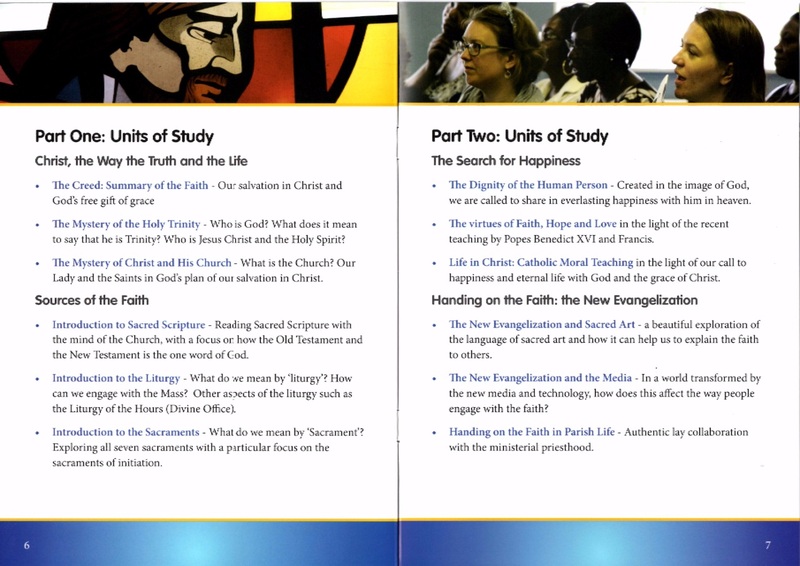 7.30pm to 9pm, led by Sr Marie-Christine. No need to book. Chapel open for silent prayer from 7.00pm. Arrive at 7.00pm if you want to practice the songs. No need to book. 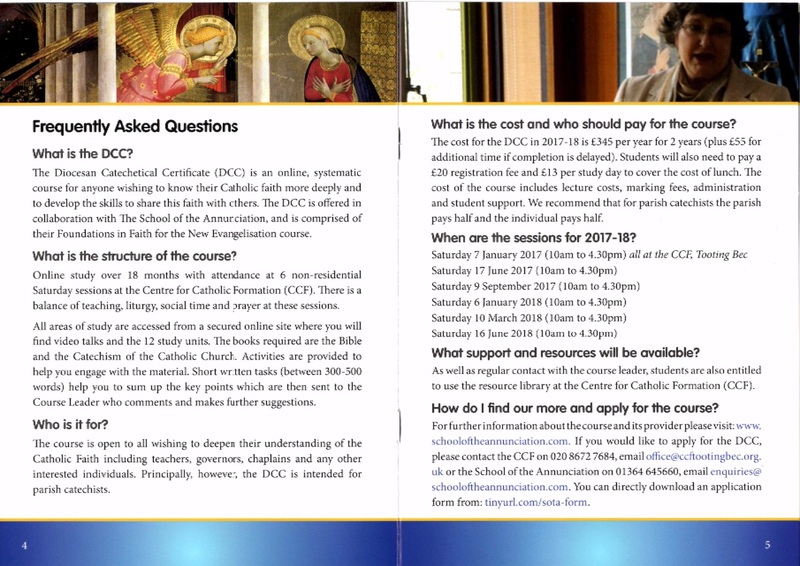 This is a course for all those who wish to deepen their understanding of the Catholic Faith. 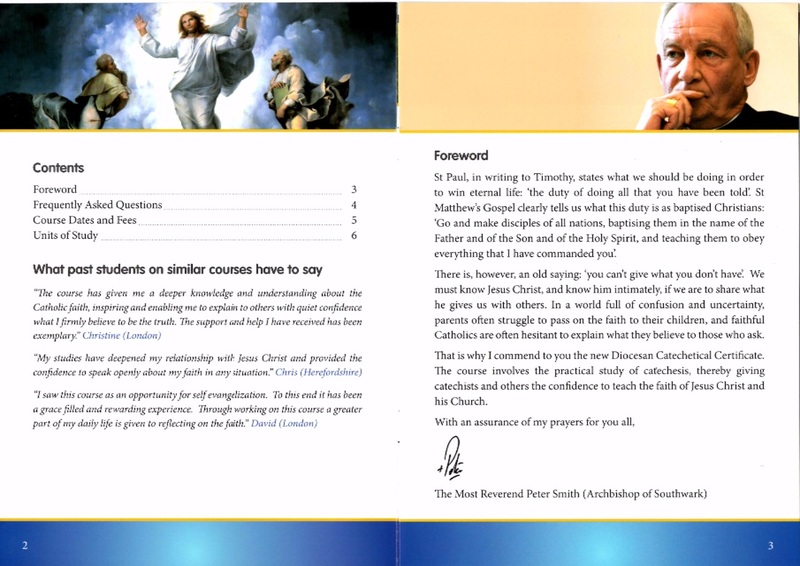 It is particulary suited to parish catechists. The cost is £345 per year for a two year course. The Sisters of St Andrew offer a quiet and reflective space for short or long retreats or days of quiet and reflection. The Parish of Our Lady of Mount Carmel is in the Roman Catholic archdiocese of Southwark and is served by friars of the Order of Carmelites. The parish embraces the town of Faversham and the surrounding area, stretching to Teynham to the east, Lenham, Charing, Old Wives Lees to the south and Dunkirk, Dargate and Waterham to the west. Our friendly parish church is in Tanners Street where you will also find the intimate Shrine of St. Jude. The church, shrine and gardens provide a space for tranquillity and peace where you will soon feel at home. 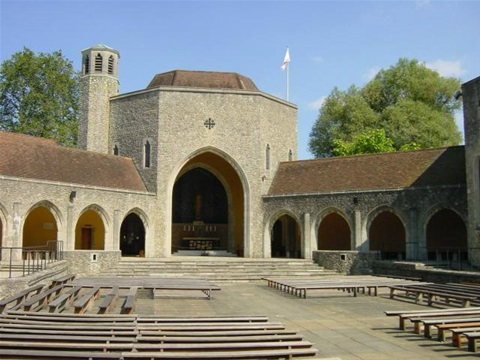 Members of the Roman Catholic church, we are also part of Churches Together in Kent and are fully committed to exploring and working together with other Christian denominations in the area, people of other faiths and all those who seek meaning in their lives. Sunday 8am, 9am (at Teynham), 10.30am and 6pm. Tea & Coffee after the 10.30 am Mass in the Carmel Hall. Saturday 10am, 5.30pm to 5.45pm and at call. Monday to Saturday at 9.10am. Tuesday 10.15am to 11.15am and 8pm to 9pm. Beside the parish church is the Shrine of St Jude where pilgrims come from far and wide. Outside of Mass times, when the main doors of the church are open, access to the church is through the sacristy door. From Tanners Street enter through the gate marked Whitefriars. The sacristy door is on the right. See our Location Map in Quick Links above.